Daraz Brings Independence Day Sale 2018 and Offering 47 Lucky Winners a Chance to Win Daraz Azaadi Box . 5 days. 71 Mega Deals. 14 Flash sales. That’s what you can expect during Daraz’s Independence Day sale. All Mega Deals across all categories will go live on August 10th. And there’s more! Exclusive Deals and Brand Vouchers are going to be making a grand green return. The Independence Day Sale is co-sponsored by Unilever, L’Oreal Paris, Harpic, Tarzz and Denizen. This Independence Day, Daraz has launched the #DarazAzaadiBox, which will be on the journey of a lifetime before it lands back on the Daraz app. The box departed from the Daraz office and has started collecting pieces of Pakistan as it travels from city to city, it is set to meet the likes of sporting legends Wasim Akram and Jahangir Khan, who are likely to add an exclusively signed ball and racket to its inventory. Once the box has collected all 47 items, it will come full circle returning to its point of origin on the Daraz app. By downloading the Daraz app and sharing page, customers can enter lucky draw for this box between August 1 and August 14– one lucky winner will win the box full of things! How can you get the box with Independence Day Sale 2018? 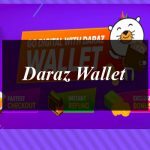 Daraz Brings Independence Day Sale 2018 and Offering 47 Lucky Winners a Chance to Win Daraz Azaadi Box . 5 days. 71 Mega Deals. 14 Flash sales. That’s what you can expect during Daraz’s Independence Day sale.